The public buses run by the Public Transport Agency, Roads & Transport Authority (RTA), are playing a crucial role in complementing Dubai Emirate’s mass transit systems, comprising the Metro & water transport means, in terms of offering on-time service and accurate headway (service frequency) as well as other key features such as safety & comfort and fitting buses with on-board sophisticated technologies like the advanced air-conditioning system and display monitors among other features. “The punctuality of public buses, judging by compliance with the published journey schedules and movement across Bus Stops, has seen a considerable rise as much as 62 per cent during this year (2011) clocking a punctuality rate of 79 per cent compared to only 17 per cent last year (2010),” said Adel Mohammed Shakiri, Director of Transportation Systems, Public Transport Agency. “This remarkable achievement is attributed to a study conducted by the Dep’t, in collaboration with other concerned departments of the Agency, to enhance this aspect; which is considered crucial for upgrading the service, sorting out all issues standing in the way of compliance with the published timetables, and developing solutions in keeping with RTA‘s objectives and Vision,” said Shakiri. “The percentage of journeys actually made in various routes have also seen a remarkable increase of 13 per cent in the first quarter of 2011 clocking 99 per cent, compared to 86 per cent in first quarter of 2010; a development that undoubtedly gives a boost to the concept of accurate service delivery; which ultimately translates into improved customer service; one of the core strategic objectives and goals of the RTA in general and Public Transport Agency in particular. “Equally the rate of incoming calls inquiring after the reasons for bus delay have plummeted sharply by 94 per cent drop to as low as 30 calls only during the first quarter of 2011, compared to 500 calls for the same period last year,” continued Shakiri. 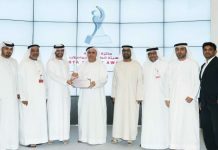 The Director of Transportation Systems, Public Transport Agency, attributed such improvement in the performance of public buses in Dubai Emirate to the tireless efforts made by the Agency and its continuous efforts to introduce the best global practices applicable in this regard through launching several strategic initiatives and plans capable of bringing about the required change.